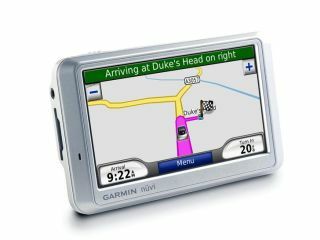 Garmin - sat nav to mobile? Garmin is developing an Android based mobile phone to be released in 2009, despite the failure to launch its well-publicised Nuviphone project. Garmin is best known for its range of sat-navs, but the parallels with mobile phones are easy to see. Indeed, with the likes of Google's G1 Android making use of Google Maps and Streetview, it seems only a matter of time before mobile phones can be plugged into vehicles to act as fully fledged sat-navs. Mindful of this, Garmin is actively looking at the mobile phone market and although the Nuviphone has yet to emerge, perhaps a move to the Android engine will galvanise matters. A report in DigiTimes quotes Garmin's Tony An as saying: "Garmin also plans to launch self-developed Android handsets in the second half of 2009, with production to be outsourced." The story is hardly unexpected, coming two weeks after Garmin joined the open handset alliance that is behind Android, but competition in the mobile phone – and even the Android mobile phone – market is fierce. Samsung is just one of the major manufacturers scheduled to release an Android powered phone in 2009, in what will be a fascinating year for the mobile market.